Flamenco del Encuentro: ENHORABUENA ANTONIO! OLE, GUAPO! Flamenco del Encuentro features Spanish-born, Pew Fellow flamenco guitarist Tito Rubio, who has performed world-wide accompanying important flamenco artists from Spain, heritage Flamenco singer (cantaora) Antonia Cruz Arias,who has sang her entire life and trained extensively in Spain, and dancer Anna Rubio-born in Philadelphia, trained in San Francisco and Spain. Flamenco del Encuentro also features a rotating cast of dancers including Vicente Orabona, La Amy, ,Jonathan Delgado and many others. Together they have performed in venues ranging from Annenberg Center, Painted Bride Theater, Trump Plaza (Atlantic City) to Universities and restaurants including a two-an-a-half year gig at Amada Restaurant, where they often incorporated visiting artists from Spain. 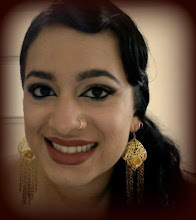 They have also collaborated with Middle Eastern music and dance artists and Tap artists. 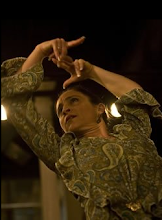 Anna teaches flamenco at the University of the Arts and at the Community Education Center in West Philadelphia. Our dear friend, teacher, collaborator, director, advisor..and wonderful dancer..
for his work as a dancer. We are so fortunate that this amazing talented man comes here to work with us! yo! looks good guys! great seeing you friday at pfp. hope to see you soon. tell antonio Congratulations! Oct 2nd FIRST FRIDAY FLAMENCO at Bar Ferdinand! sets 7:30, 8:30 and 9:30 no cover! SPAIN FOR THE SUMMER! SEE YOU IN SEPTEMBER! 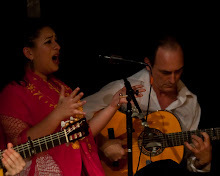 June 5th FIRST FRIDAY FLAMENCO at Bar Ferdinand! sets 7:30, 8:30 and 9:30 no cover! May 1st FIRST FRIDAY FLAMENCO at Bar Ferdinand! sets 7:30, 8:30 and 9:30 no cover! April 3rd FIRST FRIDAY FLAMENCO at Bar Ferdinand! sets 7:30, 8:30 and 9:30 no cover! March 6th 2015 FIRST FRIDAY FLAMENCO at Bar Ferdinand! sets 7:30, 8:30 and 9:30 no cover! 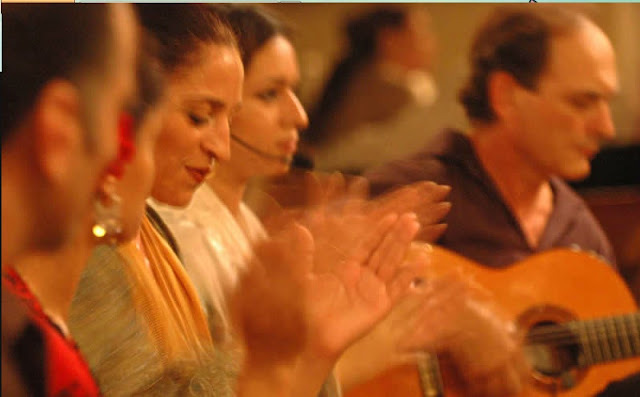 Feb 6th 2015 FIRST FRIDAY FLAMENCO at Bar Ferdinand! sets 7:30, 8:30 and 9:30 no cover! Dec 5th FIRST FRIDAY FLAMENCO at Bar Ferdinand! sets 7:30, 8:30,9:30 no cover! June 6th FIRST FRIDAY FLAMENCO at Bar Ferdinand! sets 7:30, 8:30 and 9:30 no cover! May 2nd FIRST FRIDAY FLAMENCO at Bar Ferdinand! sets 7:30, 8:30 and 9:30 no cover! April 4th FIRST FRIDAY FLAMENCO at Bar Ferdinand! sets 7:30, 8:30 and 9:30 no cover! March 7th FIRST FRIDAY FLAMENCO at Bar Ferdinand! sets 7:30, 8:30 and 9:30 no cover! Feb 7th FIRST FRIDAY FLAMENCO at Bar Ferdinand! sets 7:30, 8:30 and 9:30 no cover! NEW YEARS EVE AT BAR FERDINAND!!!! SETS AT 8, 10, AND 12 AFTER WE COUNT DOWN WITH GRAPES, LIKE IN SPAIN!! Dec 6th 2013 FIRST FRIDAY FLAMENCO at Bar Ferdinand! sets 7:30, 8:30 and 9:30 no cover! PLEASE NOTE NO 2ND SATURDAY SHOW IN DECEMBER-WE WILL BE BACK IN JANUARY!! Nov 1st 2013 FIRST FRIDAY FLAMENCO at Bar Ferdinand! sets 7:30, 8:30 and 9:30 no cover! Oct 4th FIRST FRIDAY FLAMENCO at Bar Ferdinand! sets 7:30, 8:30 and 9:30 no cover! Sept 6th 2013 FIRST FRIDAY FLAMENCO at Bar Ferdinand! sets 7:30, 8:30 and 9:30 no cover! WE ARE SORRY, BUT THERE WILL BE NO PERFORMANCES IN AUGUST-WE WILL BE AT HOME IN SPAIN!! WE WILL START UP AGAIN WITH OUR NORMAL SCHEDULE IN SEPTEMBER! please check back for Fall class schedule! besos para tod@s! July 5th 2013 FIRST FRIDAY FLAMENCO at Bar Ferdinand! sets 7:30, 8:30 and 9:30 no cover! PLEASE NOTE! No Second Saturday show at Matador in Wayne in June!We will be attending the performance of the youngest Rubio at the New Freedom Theater!!! June 7th 2013 FIRST FRIDAY FLAMENCO at Bar Ferdinand! sets 7:30, 8:30 and 9:30 no cover! May 3rd, 2013 FIRST FRIDAY FLAMENCO at Bar Ferdinand! sets 7:30, 8:30 and 9:30 no cover! APRIL 14TH 2013 FLAMENCO PERFORMANCE AND PARTY TO BENEFIT THE CEC 3500 Lancaster Ave. Philadelphia, PA 19104 3;00 PM !!! CELEBRATE SPRING WITH US! April 5, 2013 FIRST FRIDAY FLAMENCO at Bar Ferdinand! sets 7:30, 8:30 and 9:30 no cover! March 1, 2013 FIRST FRIDAY FLAMENCO at Bar Ferdinand! sets 7:30, 8:30 and 9:30 no cover! Feb 14, 2013 FLAMENCO VALENTINE'S DAY AT BAR FERDINAND! Feb 1 2013 FIRST FRIDAY FLAMENCO at Bar Ferdinand! sets 7:30, 8:30 and 9:30 no cover! January 4, 2013 FIRST FRIDAY FLAMENCO at Bar Ferdinand! sets 7:30, 8:30 and 9:30 no cover! December 31, 2012 FLAMENCO NEW YEARS EVE at BAR FERDINAND! details up soon!!! ALWAYS THE BOMBA!! !